D2C in consumer goods: a passing fad? No, a revolution! » Publications Advancy » D2C in consumer goods: a passing fad? No, a revolution! 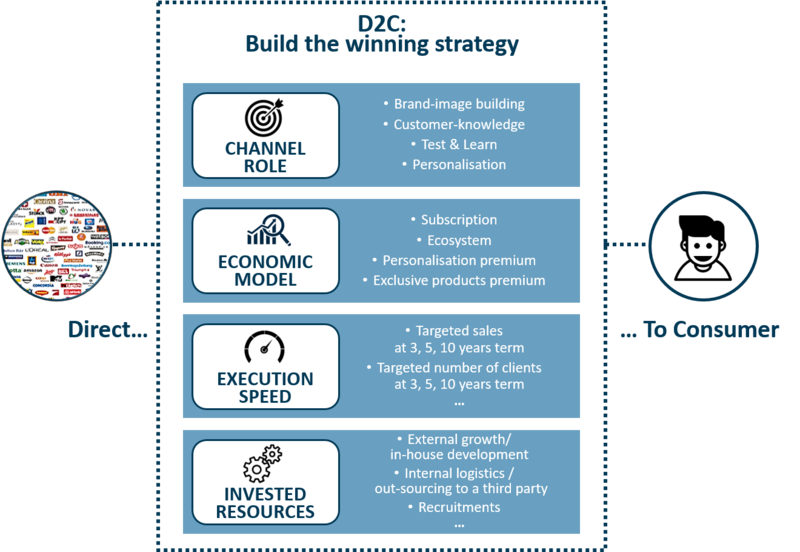 Selling directly to end-consumers without going through distributors: the D2C “direct-to-consumer” model bypasses the traditional B2B2C model, when distributors used to be the unavoidable intermediary between the brand and the consumer. While large groups were hesitating, D2C was gaining ground. Sézane or Le Slip Français in ready-to-wear, Gemmyo in jewellery, Graze in healthy snacking, Hubble in eyewear, Dollar Shave Club in men’s grooming, The Honest Company for healthy baby care and home cleaning products, Casper for mattresses… There are countless examples of young digital start-ups which seized the D2C opportunity. Not all of them are profitable, far from it, but they are worrying major players which are losing market shares. For instance, in 2010, Gillette had 70% of the US men’s-razors business. Since the creation of Dollar Shave Club in 2011, Gillette’s market share has fallen down to 55%. Unilever bought Dollar Shave Club last year for 1 billion dollars. D2C is particularly successful when it abolishes “pain points” of everyday life: what could me more tedious than the regular and unavoidable purchase of razor blades, diapers…? Start-ups have clearly understood this. Economic viability is of course the crux of the problem. 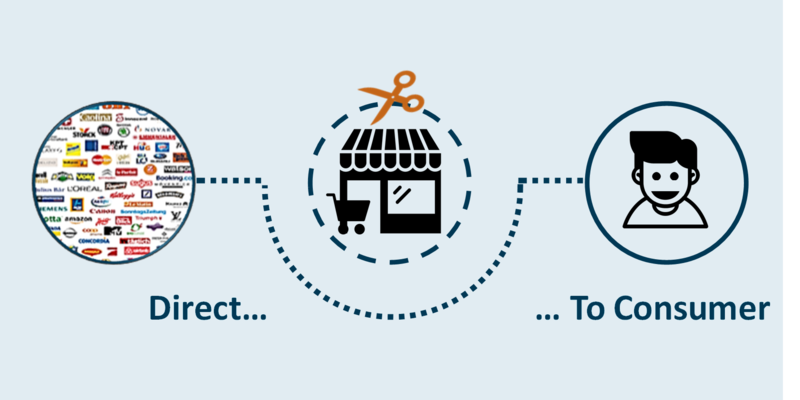 An e-commerce D2C model can be more easily managed with products whose format (small, compact, non-perishable) limits delivery costs. Everyday products, with high purchase frequency, are also suitable for D2C and subscription models. The sale of complementary products is a robust model as the initial investment (e.g. a coffee machine) secures the sales of consumables (e.g. refills, accessories…). Moreover, brands must anticipate the risk of cannibalizing their other channels, and avoid open conflict with distributors, by maximizing D2C assortment differentiation (with new products, exclusive “bundles” or packaging…). D2C profitability is clearly to be built in a long-term perspective. 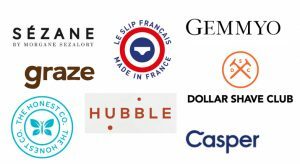 Major brands are therefore in a position of strength, thanks to their existing logistical infrastructures and reachable economies of scale, compared to start-ups which are struggling to reach profitability. Build traffic, win its loyalty, and make it profitable. If a brand is to make of the D2C channel a success, it must get ready for the battle. The first priority is to define the role to be endorsed by D2C (brand building? customer-knowledge tool? test & learn platform? offer personalisation opportunity?). Then, it must choose its economic model (subscription? ecosystem platform? ), its execution speed, as well as the resources to be invested (acquisitions or in-house development? brick & mortar network creation? own e-commerce platform development? in-house logistics management or out-sourcing to third parties such as Amazon, JD.com, Tmall?). You don’t succeed in D2C overnight; it takes some preparing!